This report furnished courtesy of Gary Cozzens, Ft Stanton, Inc.
For the information of the Commanding Officer, I have the honor to make the following report of detached service performed by my Company (—œI— 1st Dragoons) in connection with Captain Pino—™s Company of Mounted Mexican Volunteers of Blas Guerro Company of Guides and Spies. Pursuant to Post Order No. 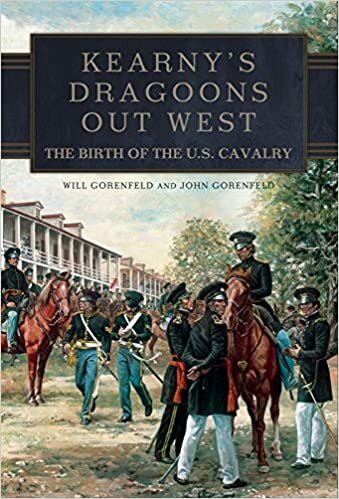 23, dated HdQrs Fort Stanton on June 10th 1855, I marched on the afternoon on the same day with five days provisions, taking with me my own Company, (Lieut. Davidson, 1st Dragoons temporarily attached thereto), and Captain Guerro with his —œGuides and Spies— —“ Agreeably to verbal instructions from the Commanding Officer, I proceeded down the Rio Bonito in order to intercept the Indians in case they were attempting to cross this river and penetrate the Mescalero Country in the direction of the Pajaro. 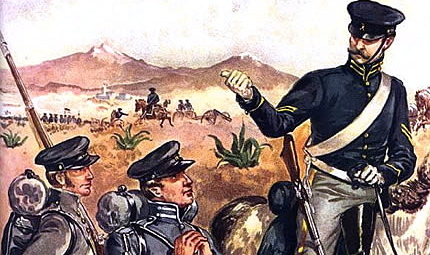 —“ Captain Pino with his Company of Mounted Mexican Volunteers at the same time marched for the Capitan Mountains passing around the western end of that range to look for the trail which road reported to have been seen the day previous —“ Very early on the morning of the 11th I had made sufficient examination to satisfy myself that the Indians could not yet have passed in the direction of the Pajaro. I then marched around the eastern end of the —œCapitan— with a view to find, if possible, the fresh trail of the Indians. About two o—™clock P. M., having passed around the end of the Mountain, we discovered a fresh trail (perhaps made early that morning) of ten or twelve animals, giving evidence that a small party of Indians had been there —“ followed the trail until dark when we were obliged to leave it an hunt a camp with water for men & animals —“ reached camp about 10 o—™clock P.M. —“ Early next morning proceeded to take up the trail, and after about an hour—™s march discovered that it united with a much larger one coming from the opposite direction and that Captain Pino had discovered it the day before and was evidently in hot pursuit. The trail led directly out from the Capitan across the plains, toward the Pecos. We followed it two or three hours until I became satisfied that from the speed with which Captain Pino had been preceding from the previous day, we could do no more than meet him on his return from the pursuit. I then made a detour to the left in order to reach the Cienega opposite the gorge in the Capitan Mountains and encamped there for the night. Next morning had not marched more than half a mile when we met two Volunteers of Captain Pino—™s Company returning themselves and had completely worn out suffering for want of water. They stated that the Captain and his men were still some distance in the rear, men and horses have totally broken down for want of water. I then returned to camp and dispatched a party with pack mules laden with water for their relief and by five o—™clock I had the satisfaction of seeing them arrive safely in camp with only the loss of two horses. Captain Pino informed me that he came upon the Indian trail (giving sign of at least on hundred animals) on the 11th and pursued it rapidly towards the Pecos hoping to overtake them in pursuit and kept up so well, that they come in sight of the Indians in the distance, but owing to the broken down condition of his horses he could not overtake them. The Indians, however, were so closely pursued as to be compelled to abandon a horse which they had killed and dressed ready for eating recovered five horses & two mules, one or two buffalo robes, & bundles of roots intended for food were also abandoned. And in their haste, the left a boy about two years of age, whom the Captain took charge of, and brought with him. He also brought in two mules and horses ~ four of the abandoned Indian horses were too much exhausted to be led or driven in. The party proved to be a band of the —œJicarilla— Apaches with their families who were doubtless intending to seek safety in the Capitan or other mountains in the vicinity ignorant of the fact of troops being stationed at this point. The Captain reported a position of the Indians to have gone in the direction of the Gallinas Mountains and the others toward the Pecos River and thinks that amongst the latter many of the women and children, most of their animals, and probably some of their men, must have perished for want of water, and they had a greater distance to go from it than he did but returned and he considered them as much broken down as his own party was when he gave up pursuit and but for the timely relief afforded by the supply of water from my camp, he might have lost some of his men and more of his horses. The same day Captain P joined me, I sent Lieut. Davidson to this Post, for a further supply of four or six days provisions, and enough fresh animals to mount twenty of Captain Pino—™s men —“ The Lieut. returned in good time the next day with the supplies and we marched toward the Gallinas leaving one half of the Volunteers to return to this Post with the broken down animals —“ Arrived at the Gallinas on the 18th —“ reconnoitered the country toward the —œLion— of [—œCanisleon—] mount ruins.—”A trail of a small party of Indians was found in the —œGallinas— or Canadian Mountains, but the Indians had evidently gone there for water and then moved toward the Pecos several days before. —“ There was therefore no prospect of overtaking them. The weather was very hot, frequently we had to march long distances without water. I returned to this Post about 11 o—™clock A. M. yesterday —“ my men in good spirits and my animals much in need of rest. This is a very interesting read. Lots of good stuff to get the flavor of those times long ago and the men who lived them. A very personal look at those soldiers that one could never locate in a standard school history book. Way to go with you time and effort to get this info out to those that may have a deep interest.